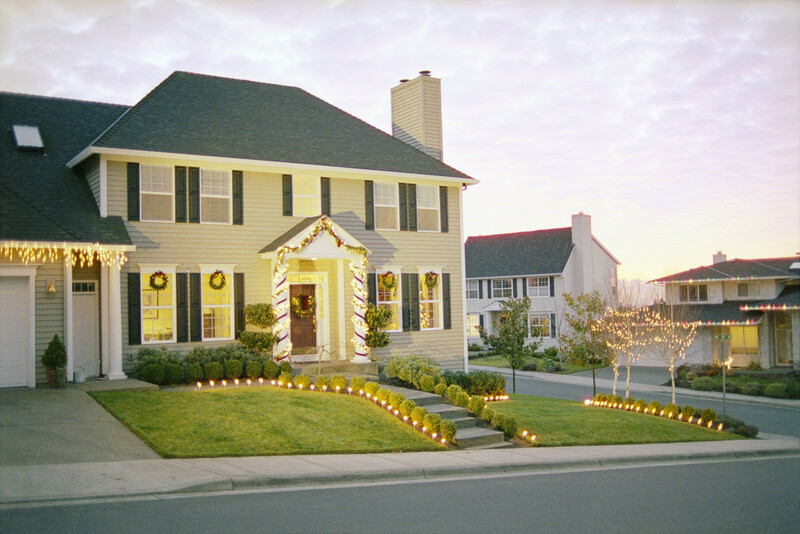 Selling Your Home During The Holidays – Good Idea or Bad? During the holidays, many Sellers take their homes off the market. This means we often see inventory drop and therefore if you’re on the market, you may have less competition. Kevin Kleifges, Belt Team Listing Partner, says: “It depends on your situation. I’m advising most of my sellers to stay on the market. We can work with you to restrict showings on special days like Thanksgiving. But selling now before Spring competition picks up might be in your best interests.” Terry Belt, CEO of The Belt Team adds, “If you do go off the market now, consider coming back on immediately in the new year. In many areas, homes sell for more money in January-February than they do in the typical “Spring Market” of March-April. If you need help working through what is the best time to put your home on the market, contact The Belt Team – or give Terry Belt or Kevin Kleifges or Tom Hanton a call at (703) 242-3975. Every situation is different and we would be happy to help you figure out what is best for YOU! FREE online estimate of what your home is worth. Call The Belt Team at (703) 242-3975 to schedule a showing! Gorgeously renovated Victorian with pool and separate guest house on a 1/2 acre lot minutes to “downtown” Vienna! Early 20th Century character with modern features and flare. 6 bedrooms/5 full baths, refinished hardwood floors, new paint throughout, updated baths, built-ins, architectural moldings and detail, extensive professional landscaping and SO much more! Great schools and location…don’t miss this rare Vienna opportunity. Welcome to this spacious and completely updated end-unit townhome in a fantastic Reston location…less than a mile from the Silver Line Metro, steps to South Lakes Village Shopping Center & Lake Thoreau and close to Reston Town Center! This 3 level, 3BR/3 full & 1 half BA home features an open floor plan, kitchen with large island open to dining area and family room, 2 fireplaces, wonderful owner’s suite, a finished lower level, back deck & patio, and 2-car attached garage. Don’t miss this opportunity to make this your next home! 2822 23rd Road N, Arlington, VA 22201 – listed by The Belt Team and OPEN SUNDAY, OCTOBER 29, 1-4pm. Take a peek…. Call Terry Belt & The Belt Team at (703) 242-3975 to schedule a showing! Another stunning new home by Sarantis Properties! No attention to detail spared in this 7,600+ square foot, 4 level, 6 bedroom/7.5 bath property with high ceilings, high end custom finishes & fixtures, a gourmet kitchen with a large island & open to the family room with fireplace, a main level den/office & mud room, spectacular owner’s suite, 4th level bedroom/guest suite, a finished lower level with wet bar, game room, bedroom & more! Front porch & fenced-in back yard. Minutes from Georgetown & DC! Call Tom Hanton & The Belt Team at (703) 242-3975 to schedule a showing! Beautiful colonial in popular Clarks Crossing! This home is located in a prime Vienna location…mere minutes from all the amenities of the Town of Vienna & Tysons Corner, great schools and access to major commuting routes. This property offers 4 finished levels, 5 bedrooms & 3 full baths, gleaming hardwood floors, a wood-burning fireplace, a spacious eat-in kitchen (gas cooking!) & separate dining room, large master suite with sitting room and a finished walk-out lower level which adds tons of extra living space! Exterior features include a back deck, fenced-in back yard and a 2-car attached garage…all on a fabulous half acre lot! Call The Belt Team at (703) 242-3975 if you would like to buy or sell in Vienna this year. The Belt Team is Vienna’s #1 Real Estate Team. (Sellers – you’ll be interested to know that Belt Team Sellers sell FASTER and for MORE money than average! Special info for Vienna Home Sellers. 1927 Beulah Rd, Vienna VA 22182 – Just Listed by The Belt Team! There is no doubt that these services are valuable to any family that decides to sell. The only question is – how valuable? One of the main reasons For Sale By Owners (FSBOs) don’t use a real estate agent is because they believe these services are not worth the fee an agent charges. But, what if those services didn’t cost the seller a penny? A study by Collateral Analytics, however, reveals that FSBOs don’t actually save anything and, in some cases, may be costing themselves more by not listing with an agent. Why would FSBOs net less money on their own than if they used an agent? Wondering How Much Your House Is Worth? Here’s a place to start. THEN call Terry Belt & The Belt Team at (703) 242-3975. THE BELT TEAM IS HIRING! HAVE YOU BEEN WAITING FOR JUST THE RIGHT OPPORTUNITY? The Belt Team is a unicorn in the real estate industry. We are celebrating our 50th Anniversary this year. We’re proud not only to have served so many clients at the highest level, we’re also proud to have helped build so many successful careers and big lives for our team members. We have an unusual history of longevity and excellence and we are committed to our team members’ success just as we are to our clients! The Client Care Manager is an individual who is detail oriented, thrives on helping people, is smart as a whip at solving problems, and has vast experience & proven success in juggling many priorities through systems and organization. People feel happy and cared for when they interact with this person. This individual is patient and not easily flustered. H/she has a strong sense of urgency, but not at the expense of quality. In addition, he/she demonstrates integrity, shares our team values, has a work ethic that is higher than most, and a history of being a high achiever who craves accountability to results and is very coachable. The Client Care Manager must be comfortable being uncomfortable as part of a team who is always looking to grow, while at the same time enjoy having a schedule and checking things off the list daily. H/she is super tech savvy and also solutions oriented. He/she will manage the entire listing-to-contract-to-close process efficiently and effectively. This individual must be a people pleaser, live to make others happy, and really like being the behind the scenes person that makes the world go around. Who are we NOT looking for? This is not an entry position to being a real estate agent. This is not an entry level job for someone looking to learn real estate. We are looking for someone who is seasoned and has a track record of operations success. Your mission is to provide exceptional customer service throughout the entire listing and closing process, service that is so extraordinary that Buyer & Seller clients will write Five Star reviews and send referrals. In addition, our agent partners are your clients. Your role is a vital part of the value proposition for agent partners on our team and as such helps ensure retention by providing our agents with a higher level of service than any other team, taking all admin tasks off their plate so they can focus on income producing activities. As the Listing & Transaction Manager, you will be responsible for ensuring that clients receive the best possible care during the listing and closing process and for making sure no detail goes unnoticed. This position requires both the ability to take detailed direction and carry out a project, and also to complete a task with minimal direction. You will oversee detailed projects and ensure they are perfect in every way. Your role is to ensure no balls are dropped, that all details are followed through, that the team and the client are well protected, and that clients are beyond happy. Client Care – make each client feel like they are the only client we have – solve problems, provide service, exceed expectations. Work closely with agents. Handle all admin tasks to ensure agents’ focus is only on income generating activities. Maintain database, assist with client events. Create and maintain templates in Zip Forms for listing & closing processes. Ensure compliance with Belt Team standards & regulations. Experience with any of the following is a plus: Boomtown, Top Producer, Constant Contact, CTE, Slack, Last Pass, MRIS. Real estate license is not required and is a plus if you have it. Base salary. (Eligible for bonus/profit share after first year, not guaranteed.) Two weeks vacation first year., with the opportunity to earn unlimited time off after the first year (as long as “no one gets the job back” & it is mutually agreed). All Federal holidays off! Who is The Belt Team? The Belt Team is a family founded real estate team in Northern VA, focused on our own families, each other as Belt Team family and our clients whom we treat like family. We are headquartered in McLean, VA and led by CEO Terry Belt & COO Christy Belt Grossman. The Belt Team is ranked in the Top 300 Teams for Keller Williams Realty (the world’s largest real estate company by agent count, with over 180,000 agents. We like to have fun and we love working as a TEAM. Real estate is our vocation. Through this vocation, we have the ability to impact lives in a most meaningful, positive way – the lives of our clients, our families, ourselves and every person we come in touch with. In real estate, we have the awesome blessing of being invited into our clients’ homes at some of the most important times of their lives – when they’re having babies, celebrating a new job, getting married, right-sizing after retirement or losing a spouse. And we advise them about their most important financial asset they have. We take our vocation seriously. “God, Family, Business” – in that order. We put our customers and clients first. We are results-oriented. Each team member owns their job and their results. We do today what others won’t so tomorrow we can accomplish what others can’t. We are coachable & teachable. We put our egos aside in order to learn and grow. We are competitive and we like to win. We think it’s healthy and fun. And good for our clients. We believe that exceeding expectations and standards is the standard. We believe that together everyone achieves more. We believe your life doesn’t get better by chance, it gets better by change. And we are out to change the world. NO RESUMES will be reviewed without ALL FOUR STEPS COMPLETED. Email your resume to our COO. Email MUST include a cover letter or it will be tossed. Leave a voice mail for Christy to let her know you sent the email. Send a short intro video with the email. Commute - Our office is in McLean. Where do you live. Tell us about that commute. What are you currently doing to grow in your life - personal & business? 10300 Mystic Meadow Way, Oakton, VA 22124 – Just Listed by The Belt Team! Welcome home to this beautiful colonial located on a gorgeously landscaped premium lot in the popular Hunterbrooke Community…great for commuters, excellent schools and close to so many amenities! This home offers 4 bedrooms & 4.5 baths, a flowing floor plan, decorative finishes & moldings, shining hardwood floors, a stunning 2-story entry foyer, an eat-in kitchen, a family room with stone fireplace & soaring ceilings, a spacious owner’s suite and finished walk out lower level with rec room, office & full bath. The incredible outdoor details include a back deck, professional landscaping, mature trees and extensive front and back lawns.